Hsiao Chen-jung (蕭振榮), a senior trade negotiator of the Office of Trade Negotiations of the Executive Yuan, said Thursday that Taiwan hopes that talks under the Trade and Investment Framework Agreement (TIFA) with the United States will resume this year. Since the U.S. had not yet filled its vacant deputy trade representative posts after President Donald Trump assumed office in January 2017, TIFA talks were not held last year. As Jeffrey Gerrish’s nomination as deputy U.S. trade representative for Asia, Europe, the Middle East and industrial competitiveness was confirmed by the U.S. Congress in March, Taipei is in discussions with Washington on a possible resumption of TIFA talks, Hsiao said. Taiwan and the U.S. signed the bilateral trade agreement in 1994 and have since held 10 rounds of trade talks, and the TIFA has become the major negotiating channel for high-ranking trade officials on each side, led by officials at the deputy minister level. Speaking at a hearing of the foreign affairs and national defense committee of the Legislative Yuan, Hsiao said the government is preparing to enter the next round of TIFA talks and has expressed hope to the U.S. that the talks will resume this year. As for the possible agenda of the next round of talks, Deputy Economics Minister Kung Ming-hsin (龔明鑫) said during the hearing that Taiwan wants to raise issues relating to investment and trade. Kung said Taiwan hopes to sign a bilateral investment agreement, since such an accord is expected to protect investors on both sides at a time when bilateral economic exchanges are on the rise but friction in transactions is also increasing accordingly. Kung added that an investment agreement between Taiwan and the U.S. is expected to prevent bilateral business ties from deteriorating. The first TIFA meeting was held in 1995 and continued in 1997, 1998, 2004, 2006 and 2007, taking place in Taipei and Washington, D.C. on a rotating basis, until a five-year gap occurred from 2008 to 2012 due to disputes over imports of U.S. beef containing the leanness-enhancing drug ractopamine. 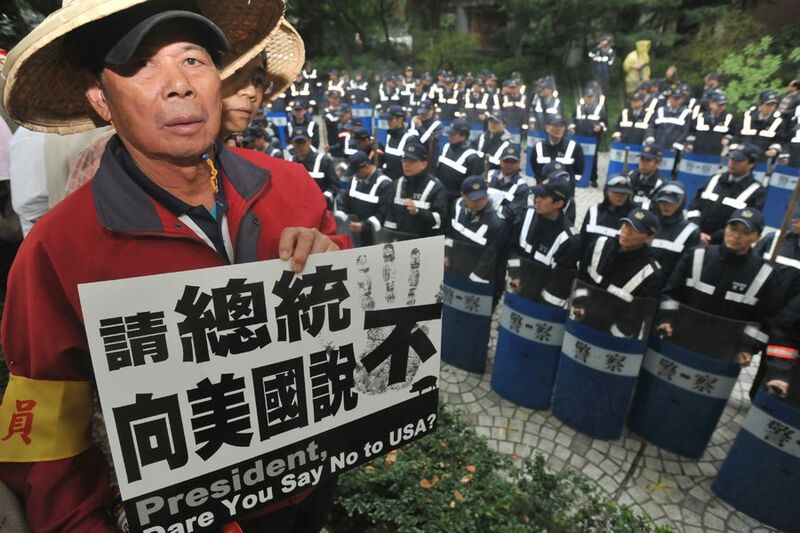 The U.S. regards Taiwan’s ractopamine ban as a trade barrier and has implied on numerous occasions that a resumption of bilateral talks under TIFA rest on the resolution of the beef issue. Meanwhile, Vice Foreign Minister Jose Maria Liu (劉德立) said at the same hearing that Taiwan continues to seek to join the recently signed Comprehensive and Progressive Agreement for Trans-Pacific Partnership (CPTPP). To join the CPTPP, Liu said, Taiwan is seeking support from the existing members of the agreement for its bid. In addition, Liu said, Taiwan is communicating with the local business sector — which fears that membership of the CPTPP will hurt some domestic industries — reviewing the legal differences among the CPTPP members and assessing the possible impact on the local economy. Eleven countries — Australia, Brunei, Canada, Chile, Japan, Malaysia, Mexico, New Zealand, Peru, Singapore and Vietnam — signed the trade agreement in early March.